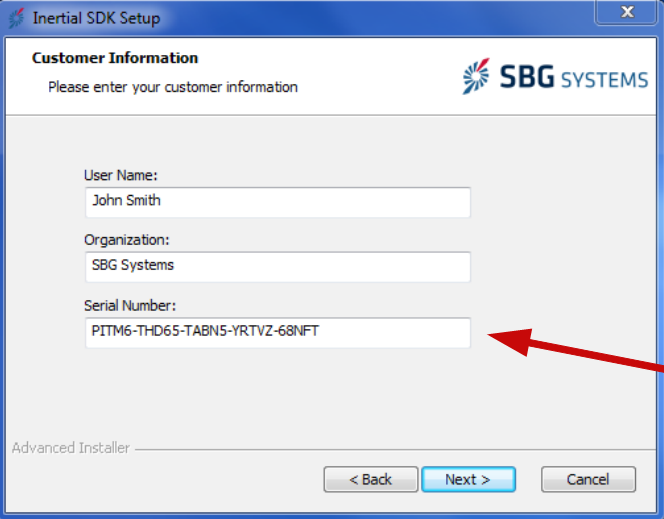 The latest SDK version provides includes the latest sbgCenter and sbgECom libraries that supports latest product features. It also contains a lot of improvements and bug fixes. SBG Systems is proud to introduce this new major firmware upgrade 2.0 for EKINOX and APOGEE Inertial Navigation Systems products. The 2.0 series is a complete re-write of key components and algorithms including the Extended Kalman Filter and Heave algorithms. These new algorithms bring a lot of new features and performance improvements especially in difficult environments. 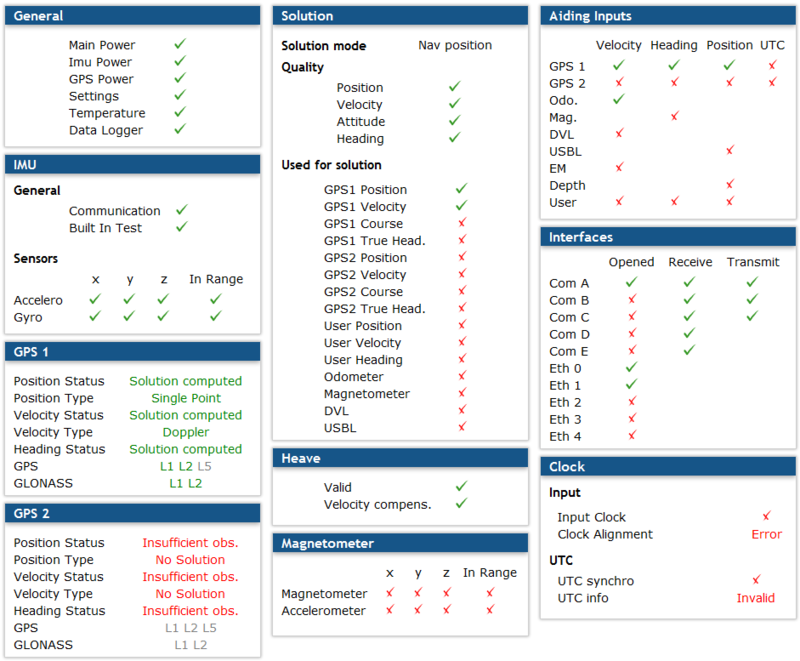 A brand new and groundbreaking automatic GNSS lever arms and Dual Antenna alignment estimation tool has been added directly from the embedded web interface. The firmware update also focuses on reliability with a lot of bug fixes and stability improvements. Please note that Apogee-D will take much longer time than usual for this firmware update as it also update the GNSS receiver firmware. Do not cut power supply until the process is completed (GNSS Receiver is detected again in the information tab)! If you are updating from an older version of the SDK, it is recommended to uninstall all versions prior to the current SDK before installing a newer one. Once you get the InertialSDK executable file, you can simply launch it and follow the instructions. Once this step is done, you can launch the sbgCenter. Connect your device and start configuring and monitoring the outputs. These fundamental status should be “OK” at all time, in case of trouble they should always be checked first. Settings: Last settings could not be properly loaded, settings by default are used instead. Built In test: Constantly checks if the IMU is fully working or not. Shows if the accelerometers and gyroscopes are properly initialized at start and if they are out of measurement range. Show if a GPS solution is found, the type gives an idea of the accuracy we can expect. Shows if the heave can be correctly computed. It will go wrong when a solution can not be found (for instance the heave period is too long). If a too high step is done, this status can go wrong for a short duration. Here are the status of the magnetometer, which can be external or internal. In case an external magnetometer is used with its own accelerometers, we have the status of the accelerometers displayed here. In case the internal magnetometers are used, the accelerometers are the internal ones. A magnetometer module must be enabled to get these status fields displayed. Shows which aiding equipment is connected and provides valid data. This is the first thing to verify when connecting an external device to the Ekinox in order to see if connection and protocol are valid and received. Nav Velocity: Limited navigation data are available (no absolute position is available). In addition to the computation mode, the “Solution” field also shows which aiding input is used in the Kalman filter. It its also important to check this to verify if the Kalman filter correctly uses all aiding equipment. Shows the status of each port. Even when closed, “receive” and “transmit” status should be green, otherwise contact technical support. This status shows if we have a valid input signal to synchronize the Ekinox internal clock on. Then it shows if the clock is aligned. At start it may take some time for the clock to be synchronized. 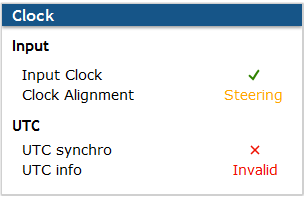 The Clock Alignment status displays “Steering” unitl the flag goes valid. We also have a status on the UTC information that are received, and if the Ekinox is able to synchronize on it. Do you provide the GPS Antenna? Using an other antenna, which specification should I consider? You have to check the gain of the antenna is between 15 – 35 dB. Power consumption should be below 70mA at 5 V.
The following table describes how to setup an Ekinox/Apogee within a network for efficient communications. The sbgCenter (provided with the inertial device) should be always able to find your Ekinox once plugged in the network. If you don’t remember which IP is configured in the Ekinox, or how to connect to it, the sbgCenter will tell you on which IP your Ekinox can be found. If the IP given by the sbgCenter is not available (the web page doesn’t work), then you have to configure your host PC with correct IP and mask settings. In case of networking configuration issues, it may take up to 3 minutes to detect your Ekinox. The sbgCenter can’t find my Ekinox/Apogee! You probably configured your sensor and host PC with the same IP address. Resolve IP conflict by changing your host PC address, conforming to the recommendations above.